They say the years go by faster the older you get. Boy I must be getting old as this one seems to have ended just as it began. Could it really be a year ago that we set off for what we thought was going to be 6 months back at Yulara only to end up in the Kimberleys for 6 months instead. It seems like only yesterday that we traveled for the first time along the Gibb River Road and then up that goat's track to Kalumburu. We have done so much, but the year seems so short. 2009 has been an outrageously good year for us. While the world's financial market was in disarray and with so many doing it so tough, we occassionaly felt a little guilty as we soldiered on, most of the time completely unaware of what was taking place around us. With no newspapers, no radios and no interest in watching TV it was amazing how insulated and ignorant we were to the unfortunate events that have have been unfolding around us. Let me assure you - "Ignorance is bliss". In 2009 we have traveled a total of 32,544 kms, much of it on dirt roads. We have visited every state and territory in mainland Australia and visited the most Westerly and the most Easterly points of this country. 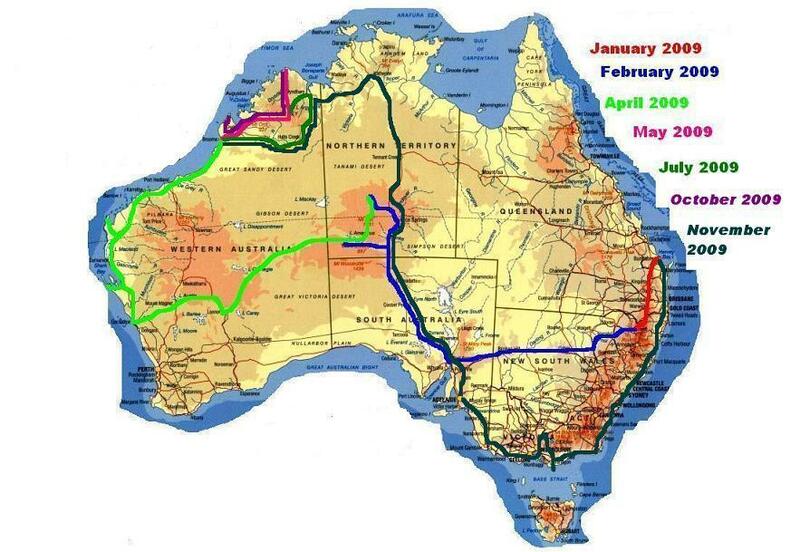 Next year we will get to CapeYork and to the most Northerly point and are making plans to get down to Wilson's Promitory for the overnight hike to the most Southern point of mainland Australia. Our goal is to visit all four extremities. 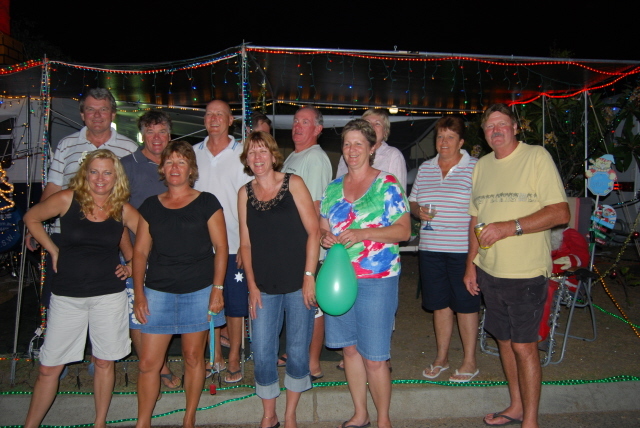 This year we have lived in 3 different aboriginal communities, two being in the Kimberley. They have all been a brilliant experience, and we have been welcomed and accepted by the locals. We have never felt safer than we have in these communities. Plans for 2010 are well in place. We have been offered an 8 week placement at Warmun (Turkey Creek) in WA which is close to the Bungle Bungles (and only a couple of hours from Kununurra), starting early February which we are looking forward to. Although it is in the middle of nowhere there is a lot to see and do, including hopefully getting into the bungles while there is plenty of water around. That would be spectacular. 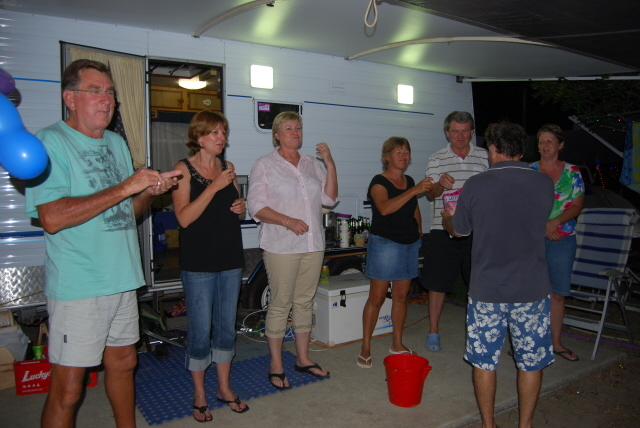 We will then head to Darwin and put the car and camper into storage and head to Vietnam for a month. Plans after that are 'we will see what happens' but will include Arnhem Land and Cape York, but in which order we are not sure yet. We do not plan on doing as many klms in 2010, but then we didn't plan to do so many this year either. We have all stayed very well this year, only suffering the odd common cold. The car and camper have handled the abuse well with only a few minor mechanical issues. We snapped a leaf in one of the trailer springs (most likely due to my lack of maintenance) and cracked the chassis on the Patrol that has been repaired and the coil towers strengthened while in Melbourne. We have been very happy with the Patrol as it has not let us down or left us stranded at all over our past 3 years of travel. There are not many vehicles out there that can stand up to this type of torture, year in, year out. So what has been happening since the November update. In short, very little. When we arrived back in Bundaberg, we uncovered the van and spent a few days cleaning, swapping gear over and restocking. 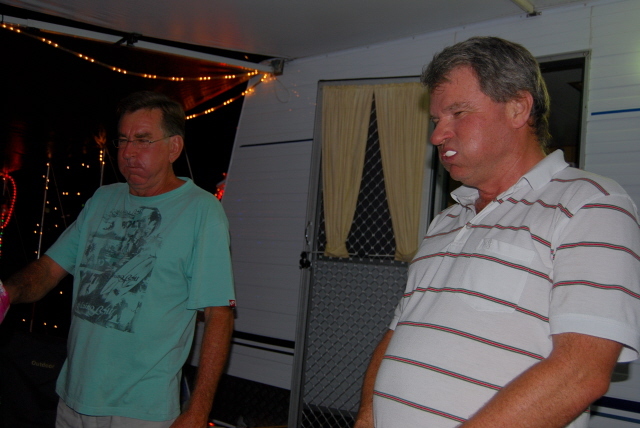 I was kept a bit busy down at our house at the beach with pool and septic problems, but finally got them sorted. 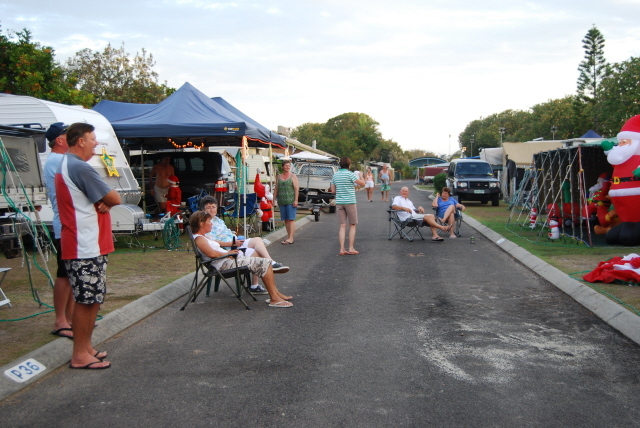 We then made our way down to the Sunshine Coast for the month of December, staying on our usual site at Cotton Tree Caravan Park. We are unsure exactly what we have done to fill in the month other than a little shopping and going to the beach and generally stuffing around. Our light display again this year looked great, as did all those camped around us and we are certainly the most colourful street in the caravan park. Everyone around us puts in a huge effort and the combined result brings a lot of joy to those who come to see it. Harry is already planning how we will do it next year. The usual crowd that camped around us were again great company. 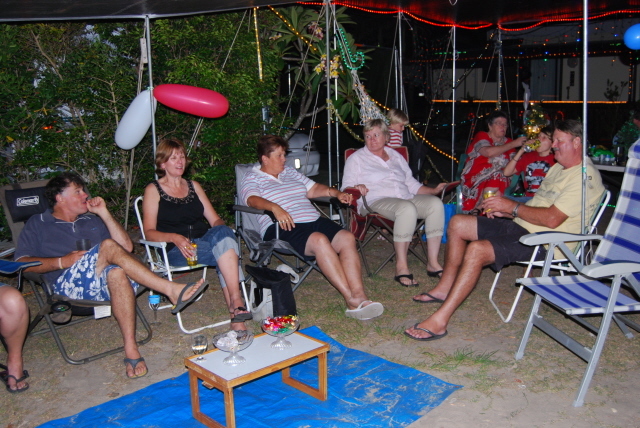 Every night we had a street party and watch out anyone who tries to drive down our street during 'party time'. We generally just sit there and they eventually back out and go another way. We had our street 'secret santa Christmas party' that was one of the best yet (although I think we say that every year). It was a bit noisy and went a bit late, and I did cop it from a couple of old ducks in the van beside us. Oh well. And the good news was that finally after many, many years of doing secret Santa, I finally got a decent gift, unlike all the crap I have got in past years. 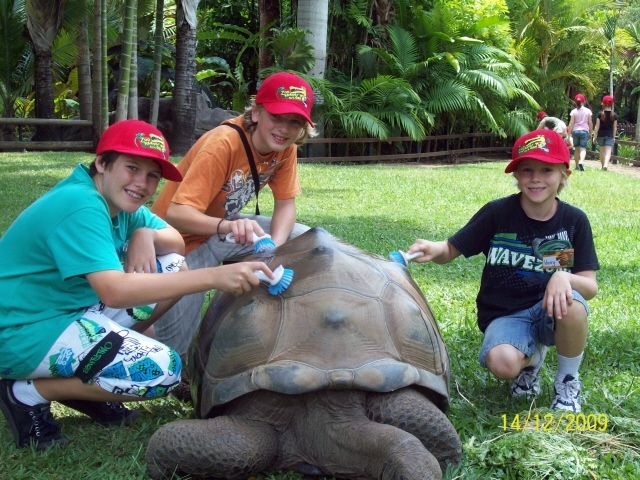 The boys went to Australia Zoo as 'Zoo keepers for the day' in the first week of the holidays. 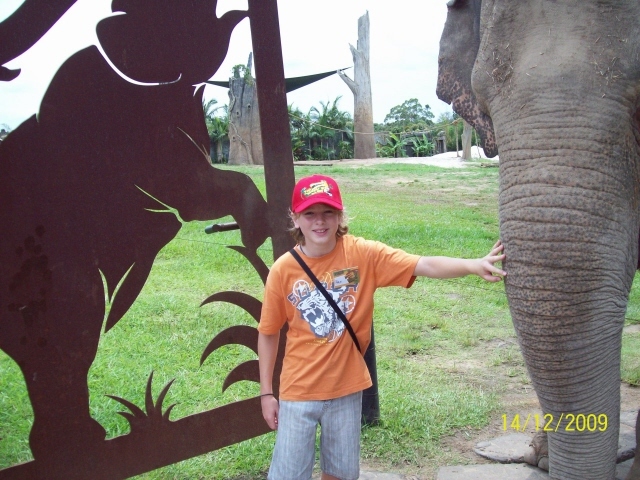 They had a great time washing the animals and making up the food for the otters, feeding the elephants and a pile of other zoo type stuff. 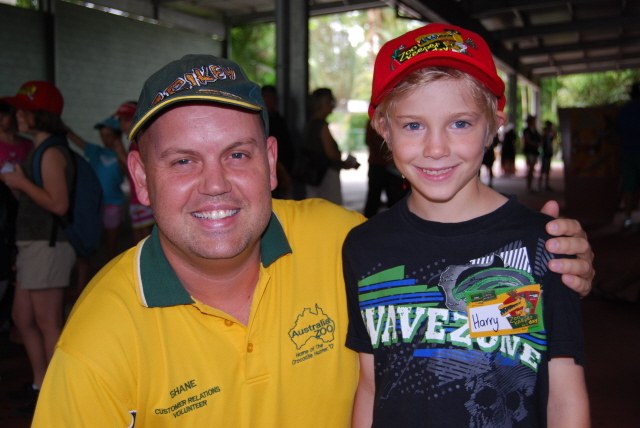 Harry was particularly excited as his Distant Ed teacher, Shane also works there. We all met Shane which was great. It is so nice to be able to put a face to a voice. We are hoping Harry will have Shane again in 2010. New Year's Eve saw me in bed by 11-00pm, a pretty good effort for me. Chris made it through like she usually does, with great fireworks down at the beach apparently. What a team!!! So that is it. Short and sweet. We have no New Year Resolution as there is nothing in our lives at present that we would like to change. How nice is that. 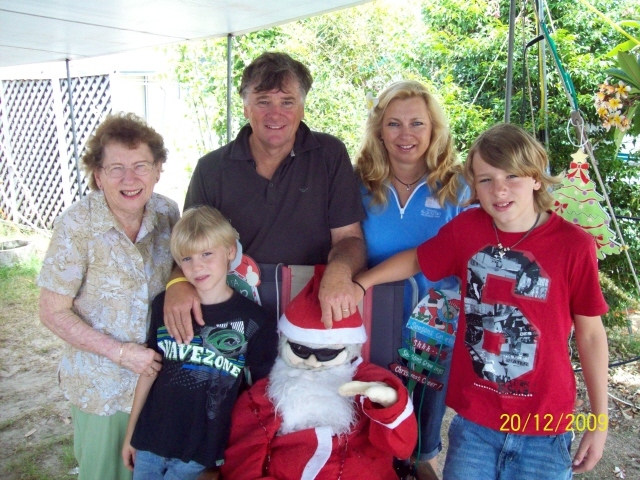 We hope you had a great Christmas and have a happy and healthy 2010. 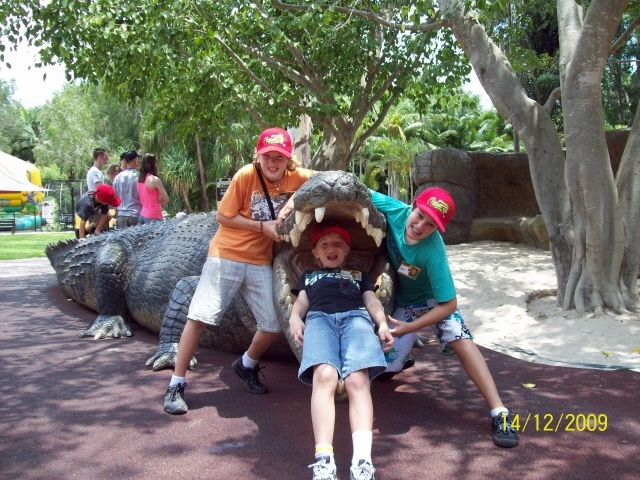 Stay tuned in 2010 as we continue our adventures around Oz. Brett, Chris, Alex and Harry.